When is it time to make a change? Have you ever gobsmacked yourself by doing something you never thought you’d do? Nearly a decade ago, I was moving in with my now husband. As I packed, I picked up a small box of love letters and fingered the envelopes. I had no idea I was going to make a dramatic gesture with them. Most of the letters came from my boyfriend when I was living in Oxford. That hot summer of 1992 returned to me with its mix of adventures and intense emotions . Isn’t this is why I’d kept these letters? I was back in the US from Oxford that summer for at least two months – encompassing an internship, research at the Truman Library for my Master’s thesis and an extended visit to my parents. It was a long trip. I wrote to my then boyfriend Every Single Day. Sometimes it was a quick postcard, mostly it was an aerogramme (remember those). They would apparently arrive in clumps, with days when none flopped through the letterbox. He wrote to me too – not every day, but often – with a beautiful hand. All the letters are calligraphy, made with proper nib. I was looking at that beauty now, so many years later. As I was packing to move in with the man who would become my husband, I dipped into those letters. It was sweet to be taken back to that time – to the dreams and hopes and fears. To revisit where I thought my life would take me and muse on the paths I had taken. But it was time for me to release them. I had thought of the letters as beautiful, sacred mementos – but now was the time to thank them and send them on their way. They weren’t to be carried into my next chapter. I took all the letters and put them in the grate. I set a fire. The flickering flames talked to me and I felt a deep peace and conviction that what I was doing was right. I could travel lightly into the future with a sure foot. Do we in fact hang onto things – literal and metaphorical – because we don’t know who we are and how we should change? When do you think about change? Do you only think of change at certain times in your life? Have you made a change you never thought you’d do? There are distinct markers in our life that have have us reflect and make changes – one of them is the New Year. Are these markers the only time you ponder who you are and where you’re headed When is it time to make a change? I never thought I’d burn my love letters – but I knew when the time was right. My old friends. 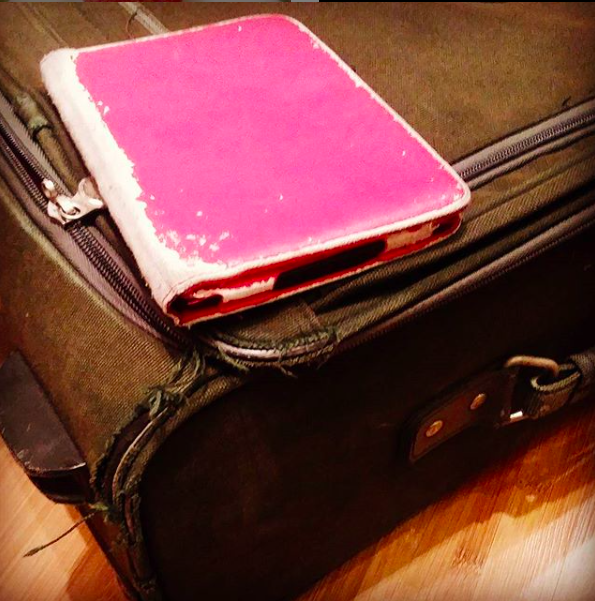 The suitcase is 20 years old and the kindle cover five years old. They are well warn and well loved – and still in service. I’ve been watching Marie Kondo. I believe the reason she resonates with so many people is that her method is not just about decluttering. 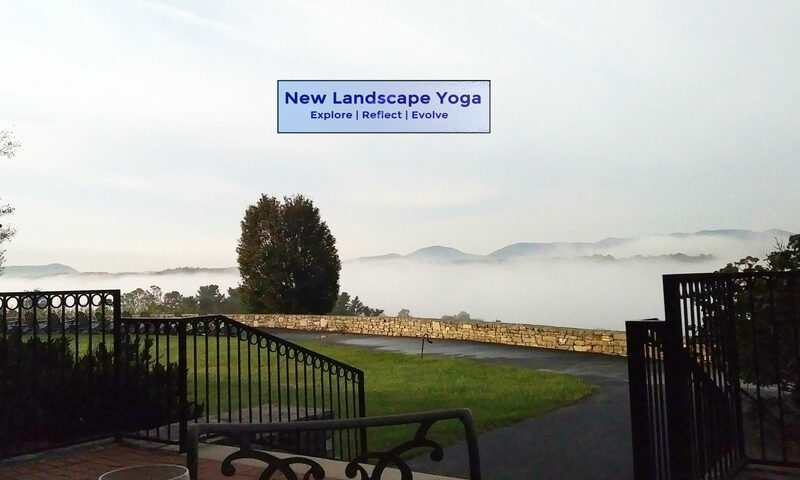 Her clients decide to go on a journey of profound change after years of status quo. They do this with Marie Kondo because she connects them to their possessions – and ultimately their life – in a new way. She is a guide. The first thing Marie Kondo does in introduce herself to the house. What – have a relationship with our possession! It’s a brilliant idea. The most famous part of her KonMari method is to keep things that ‘spark joy’ and thank those things you are sending on their way. How often do you buy things but don’t really care for or use these shiny new things or treat them as dear old friends. I used to be like that, now I love to greet my old friends. KonMari is teamwork. We have to come to an understanding with our spouse or family members and support each other through this journey. Often it’s difficult as we face come face to face with ourselves. The word ‘energy’ is used a lot. As the decluttering progresses, the energy in the house changes and the energy of the family changes. The hard work pays off! One man felt cut off from his emotions and had a hard time tapping into the concept of ‘sparks joy’. In the end, he was happy to be more connected to his emotions and more open about his feelings. This strengthened his relationships – especially with his partner. the more we can make decisions that feel right and are likely to work out well. the more we know when to stand firm and when to be flexible. the more we are generally connected: to people, to nature … even to our possessions and home. This feeling of connection brings peace. So how do we form an understanding of who we are. We get so many messages about who we should be – from our family to society to our friends. you should be a doctor – where is a degree in English going to get you? There are a lot of messages that form a sort of undergrowth in our mind that we have to wade though as we figure out which plants are true to ourselves and which plants are invasive. It’s an ongoing journey to tap into your inner voice and to see yourself clearly. Funnily enough – this is exactly what yoga is about. It’s an ebb and flow! Have you felt things shift as you do follow the sequence and do your yoga practice. Have you noticed your meditation practice helps you feel calmer and more able to resonate with you life. 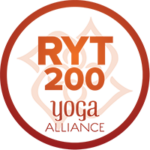 You can let yoga help you create change to become your best self. Give it a whirl and let me know how it goes.